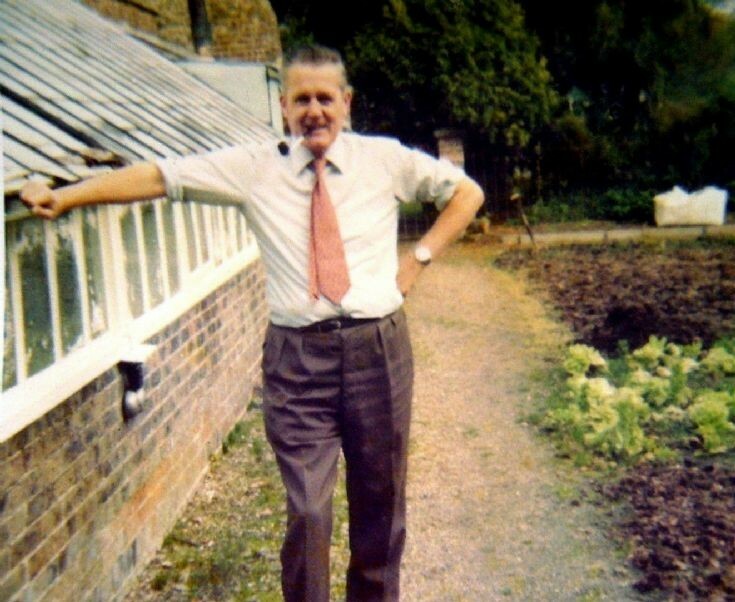 This is a picture of my father, Jack Cook (1918-1999), standing in the walled garden of Broadfield House. He held the post of caretaker and head gardener on the estate from 1946 to 1979. My father as a young lad can also be seen in a photograph of a Pease Pottage charabanc outing by selecting picture #377. A Large Version has also just been added.